We've now finished posting news, a regular weather forecast, travel news and a few other nuggets from around the county for today. And Cumbria County Council says an out-of-date internet picture of an Ulverston street was used by an official who blocked off three spaces reserved for residents so a pub could take brewery deliveries. We'll be back to do it again from 08:00 tomorrow. In the meantime, if there's something that should be here, such as a story or photo you've taken in the county, let us know by sending an email, on Facebook or on Twitter. Police say they're concerned over a man from Carlisle who's gone missing. Craig Metcalfe, who's 5ft 7in, was last seen at his home in the city on Monday afternoon. Changes could be made to some support services such as day care sessions for vulnerable people in the county. Cumbria County Council, which provides the majority of the day care services in the county, has recently held a consultation on their future. Peter Thornton, the Liberal Democrat county councillor who's responsible for health and social care, told Mike Zeller on BBC Radio Cumbria that if some services were becoming less well-used, changes might be made. If we've got a service people want, we're not going to cut those, but if we've got a services where there's less people going, people clearly want different things, then we're going to have to look at reshaping those services." Skies will be on the cloudy side tonight with scattered showers possible at times. Temperatures will fall to about 14C (57F). NHS bosses say they are "making every effort" to find a place to care for a suicidal 17-year-old girl who's currently in the formal care of Cumbria County Council, but who can only legally be held for another 11 days. Staff at the girl's unidentified secure unit have told England's top family judge that if she was released into the community, "staff do not think it will take more than 24 to 48 hours before they receive a phone call stating that X has made a successful attempt on her life". Sir James Munby has explicitly made no criticism of Cumbria or any other authority, but he has ordered ministers to find a place for the girl. In a statement NHS England said: “We have heard the comments from the judge and completely agree that a solution must be found. In a judgement published today, Sir James says: "If this is the best we can do for X, and others in similar crisis, what right do we, what right do the system, our society and indeed the state itself, have to call ourselves civilised?" Britain's top family judge has said the national absence of anywhere able to look after a deeply disturbed teenager who's in the formal care of Cumbria County Council, is 'disgraceful and utterly shaming'. The 17-year-old, known only as X, is currently in a secure unit in an undisclosed place somewhere in Britain, after making more than 100 "significant acts of self-harm". In a judgement published today, Sir James Munby, the president of the family division, ordered that a suitable place be found to care for the girl before the existing care order runs out in 11 days' time, because, he said, if she is free to make another attempt on her life "we will have blood on our hands". In the meantime, he said, she should be kept under observation by eight staff, two within arms length, at all times, to prevent her harming herself. His judgement makes no criticism of Cumbria County Council or other officials, simply saying: "The lack of proper provision for X – and, one fears, too many like her – is an outrage." One hundred years ago one of the bloodiest battles of World War One was being fought at Passchendaele. The bloody carnage of the battle, which claimed hundreds of thousands of lives, is well remembered, but less well-known was the role of a multi-national workforce, including a number of Germans, in mining zinc at Alston Moor in the Pennines. Zinc was a vital component of brass in the shell and bullet casings of British munitions, but the Germans worked throughout the war, even when some of their friends elsewhere were interned. Here, local historians Alastair Robertson and Peter Jackson tell the story of the foreigners in the hills - the men who worked for the Belgium Vieille Montagne Zinc Company in the Pennine Dales. You can hear a longer version of the story here. A council official who relied on Google Streetview rather than visiting a street in Ulverston has apologised after "keep clear" signs were wrongly put along a length of kerbside designated for residents' parking. People on Soutergate were furious when the markings appeared earlier this week, without any consultation. The official had checked a picture on the internet that had been taken when double yellow lines ran along in front of the pub, before these were changed allow more space for pople who live in neighbouring houses. The county council was trying to ease deliveries to the Old Friends Pub and says the "keep clear" markings will be urgently removed. The light in Cumbria can be exceptional, and one of the best times is when the sun comes in under the clouds after heavy showers. Our thanks to Nigel Hollingworth for this example. 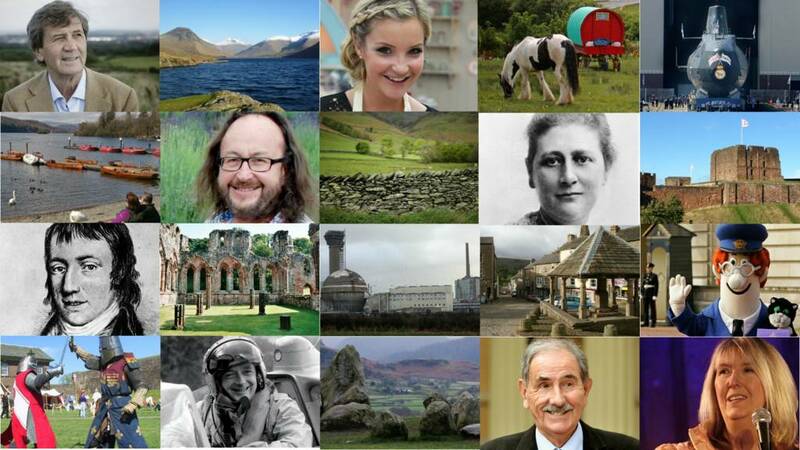 If you want to share a photo you've taken in the county, let us know by sending an email, on Facebook or on Twitter. The Cumbria Local Enterprise Partnership, which links business in the county with local and national government, has asked for an urgent meeting with the Department of Transport after electrification of the Lakes Line from Oxenholme to Windermere was cancelled. Transport Secretary Chris Graying said that instead, new trains that can run on both electrified lines and on their own diesel power are being ordered to provide new services to Manchester Airport. George Beveridge, the chairman of the LEP, said he was disappointed about the announcement, and wanted more details of the new services. He said electrification of the line was a key part of plans to take advantage of the Lake District being declared a World Heritage Site. A mountain hut that's one of the highest buildings in Cumbria is getting a new roof this week. It will be an important refuge for people caught out on the Lakeland fells, according to the charity organising the work. Dubs Hut is an old quarry building that's almost 1,600ft above sea level at the head of the Buttermere Valley, which is now used as a bothy shelter by walkers. There's great chunks missing, there's no door on the porch, there's a window missing, it just needs a bit of TLC." Labradors Sansa and Harley have been taken on by Cumbria Police to help the force's forensic officers. What is thought to be the country's smallest distillery is celebrating a national award for the quality of one of its gins. Andy Arnold Bennett opened Shed 1 Distillery in Ulverston a year ago, and the judges of the Great Taste Awards have awarded its Cuckolds Revenge two stars. Two longer-established Cumbrian producers, the Grants Smokehouse in Maryport and Staveley's More? artisan bakery, got three stars. The Canal and River Trust has won a £41,000 grant to plan work on repairing the Stainton Aqueduct, which carries the Lancaster to Kendal Canal over a beck. The arch was badly damaged in the Storm Desmond Floods, and it's estimated the structure, which is Grade II listed for its historic interest, will cost £2.2m to fix. The canal is 200 years old in 2019, and the trust is planning more restoration work to celebrate. the showers will tend to ease into the afternoon and some longer sunny spells will develop, although it will be breezy. Temperatures will rise to 18C (64F). A 61-year-old man's been arrested in Barrow on suspicion of making threats to kill after an incident which led to armed officers being deployed. Local people were asked to stay inside after reports of threats being made. Police say that the incident's now over. The Lake District national park authority's first dedicated farming officer says she's on hand to reassure farmers about any concerns they may have. In the past, area rangers have done much of the work with landowners. Quote Message: Brexit's a big issue, there's a lot of uncertainty at the moment and people are unsure whether to go into the Countryside Stewardship scheme or sit it out and see what happens." Brexit's a big issue, there's a lot of uncertainty at the moment and people are unsure whether to go into the Countryside Stewardship scheme or sit it out and see what happens." 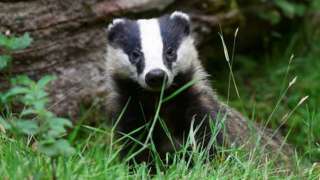 Investigators found TB in badgers while investigating 16 cases of it in cattle dating back to 2014. A ship which will provide support for the construction of the Walney Extension Offshore Wind Farm has arrived in Barrow. The VOS Start is described as a walk-to-work vessel, because it provides accommodation for workers alongside rigs, and has been designed specifically for the oil, gas and renewable industry. The Danish firm, Dong Energy, intends to add 90 turbines to the existing 102 at the Walney facility off the Cumbria coast, with plans for it to be fully operational by 2019. If you're planning a day on the fells, there's an excuse for a later start. Visibility: Restricted through the morning with cloud above 2,000ft making navigation difficult and heavy showers reducing visibility on lower slopes. Improving later.